longer, PermaLock fastener eliminates nut and bolt failure. Channellock Blue grips for comfort. 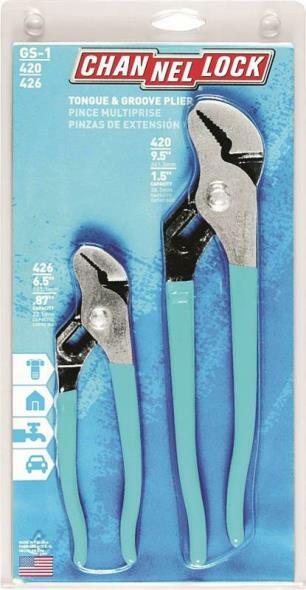 Includes (1) each: 9 1/2" and 6-1/2 Tongue and Groove plier. Made in USA.